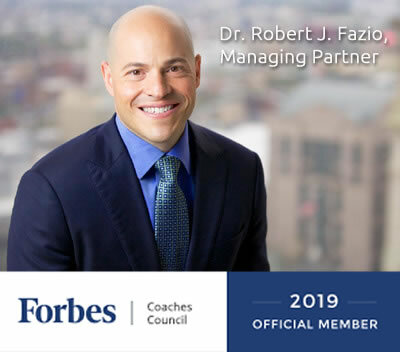 Dr.Fazio is an elite advisor to executives, specializes in global leadership development and captivates audiences with his Motivational Currency®. OnPoint Advising excels at getting results through executive, team, and organizational leadership development. Dr. Rob Fazio is the Managing Partner at OnPoint Advising specializing in global leadership and organizational success. His approach to advising combines original research on power, influence, conversations, and motivation as well as over 20 years of consulting to elite performers. Based on his experiences in sport psychology and executive development, he teaches clients how to remove barriers to function at optimal levels. He has worked with executive teams and coached executives throughout organizations including the C-Suite, surgeons, and emerging leaders. Dr.Fazio has contributed to Forbes, NBC News, NY Daily News, HER Magazine, CEO Magazine, Philadelphia Business Journal, and American Management Association. His advice on navigating turbulent times and politics has been featured in the NY Times and on CNN, Fox News Channel, MSNBC, and local networks. 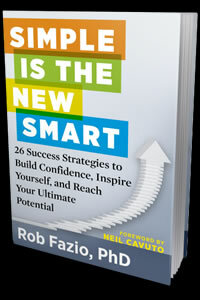 His book, Simple is the New Smart (foreword by Neil Cavuto), features success strategies he has gleaned from over a decade and a half of working with athletes, executives, and people driven toward excellence. Recently, he developed the Motivational Currency® Calculator. This self-assessment reveals what drives people, how well someone can read another person’s motivators, and how effective someone is at using the best approach to tap into someone’s motivators. He has developed significant expertise in advising Fortune 500 organizations globally develop, advise, and retain employees based on a future-oriented strategy, organizational values, culture, and person/position fit. He has worked internationally in a variety of industries including finance/banking, private equity, accounting, media, pharmaceuticals, hospitals, telecommunications, chemicals, retail, sports, public utilities, and nonprofits. Rob is often asked to be a keynote speaker or facilitator at executive offsites. Dr. Fazio has served as a performance excellence consultant to a variety of organizations and athletic teams. He participated in the development and facilitation of the life-skills portion of the NFL’s Coaching Academy and the PGA’s 1st Tee programs. He is the founder and President of a September 11th inspired nonprofit organization, Hold The Door For Others. The organization’s mission is to empower people to grow through any type of loss and adversity and achieve their dreams, www.HOLDTHEDOOR.com. Prior to starting OnPoint Advising, he worked at Leadership Research Institute and Hay Group. Rob completed his B.A. in Psychology at The Pennsylvania State University. He earned an M.Ed. in Athletic Counseling from Springfield College and a MS in Counseling Psychology from Virginia Commonwealth University. Dr. Fazio earned his PhD in Counseling Psychology, with a subspecialty in consulting, and completed his clinical rotation at the University of Pennsylvania. Dr. Fazio is a Licensed Psychologist in the state of Pennsylvania. Click Here for a link to Dr. Rob Fazio’s Bio. What makes us unique is our down to earth approach that balances relationships and results. We first understand your business, your goals and your culture. Then we help you to leverage your human capital to drive the results that you need to succeed.